Home › FAQ › Can Student Loans be Consolidated? If you are carrying several student loans to finance your education and find it difficult to manage the differing deadlines and interest, you might think about consolidating student loans. Most loans can be consolidated, but many factors determine if consolidation is a good option for you. There are several options besides consolidation. 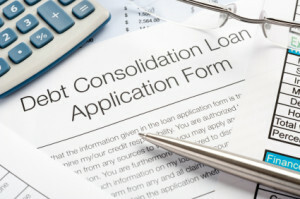 Consolidation is combining several loans into one. This is usually done by taking out a new loan that is used to repay the others. The new loan may be at a different interest rate and have a different maturity date than the smaller loans did. Students often want to consolidate loans because they have taken out several to finance their educations, and they are having difficulty managing the multiple interest and payments. What Kinds of Student Loans can be Consolidated? There are several kinds of student loans, but they all have one thing in common: a lower interest rate than other loans. The federal government offers the Subsidized Stafford Loan, the Unsubsidized Stafford Loan, The Federal Parent Loan, Guaranteed Student Loans and others. Almost all of these loans can be consolidated. According to Student Aid.gov, you must have at least one direct loan or FFEL program loan in a grace period, or have a loan on which you have been making payments. If you are trying to consolidate a debt upon which you have defaulted, you will need to make satisfactory arrangements with your lender for repayment or agree to pay back the loan under programs which all have the guideline that your payments are determined by your income. Private loans can be consolidated too, but the interest rate may be higher than the original loan. Private loans cannot be consolidated with federal loans. You also cannot consolidate a loan a parent took out for a student with a loan that is in the student’s name. What are the Advantages and Disadvantages of Consolidation? One possible advantage of consolidating student loans is that your interest rate might be lower. Simple Tuition.com says that your interest rate depends upon the type of loan you secure, whether fixed-rate or variable, and by your credit score. Another factor is the “weighted” average of the rates on the loans you wish to consolidate. If you had poor credit when you initially applied for the loans, but have since improved your score, your interest rate may go down. Another advantage is that you don’t have to remember multiple due dates. In addition, your loan will typically have a maturity of ten to thirty years. That may lower your payments and, if your credit score has improved since the initial loans, the interest rate may not vary as much. There is a downside to consolidating student loans, too. You could lose your interest rate deduction for tax purposes. You also might not be eligible for loan forgiveness options after the consolidation. Another disadvantage is that you could lose rebates on the principal and any fee waivers. Loans that mature at thirty years cost more than shorter-term loans because you pay on them longer so they accrue more interest. Plus, your interest rate is not always lower. It is up to the borrower to “read the fine print “on the loan agreement. There are other options for student debt repayment. There are programs that temporarily stop or defer payments, called forbearance. You might also be permitted to make smaller payments for a short period of time to get through a “rough place.” Students need to explore all the options before deciding upon a course of action. Consolidation may be the best plan, but students need to make certain they understand all the provisions to which they are agreeing when consolidating student loand.